Vermeire was a Belgian bartender who plied his trade in London during the European Golden Age and then in his native country. His book was highly successful (more than 100,000 copies were printed). However, very little is known about his life. Who he was, when he was born, when he died or indeed what he did in the years that followed the book’s publication was never quite clear. Through extensive research in Belgian and international archives, I was able to find out a quite a bit more about this legendary bartender. Robert Vermeire was born in Knokke in 1891, studied hospitality in Germany and made his way to England at the beginning of the First World War. He worked at some of London’s most prestigious establishments. While in the UK, he also married a fellow Belgian migrant and had kids. In 1922, right when his book was being published, he decided to go back home and open Robert’s. The bar would become quite an attraction: patrons were coming all the way from England to have one of Robert’s drinks. Sadly, the 1929 Crash proved fatal and Robert’s had to close its doors in 1930. Over the following years, Vermeire moved to and worked in Brussels. In 1938, he published a French edition of his book and called it ‘L’art du cocktail’ (it was later reprinted once). Unfortunately, the war was not kind to him and although he spent time in Belgium, Luxembourg, France or the United Kingdom after 1945 and only formally retired from the industry in 1958, Vermeire went through a very rough patch. He died in 1976. This is just a sketch of Robert Vermeire life. I have a lot of additional details. However, there are important parts missing, which is why I need your help. I’m interested in about anything directly or indirectly related to his life. Please let me know if you have anything to share. Do you have a photo of his bars? Better yet, do you have a photo of Vermeire (none are publicly known)? You own or know someone who might own the Japanese translation of Vermeire’s book, published by Katayama in 1930? Please get in touch. His family. His two sons, Jean Vermeire and Roger Vermeire, didn’t seem to have any children. Roger married Mathilde Mareel in 1950. Vermeire’s brother, Carlos, also worked in the hospitality industry and was a city councilman in Knokke for years. Know any descendants or relatives? Get in touch. 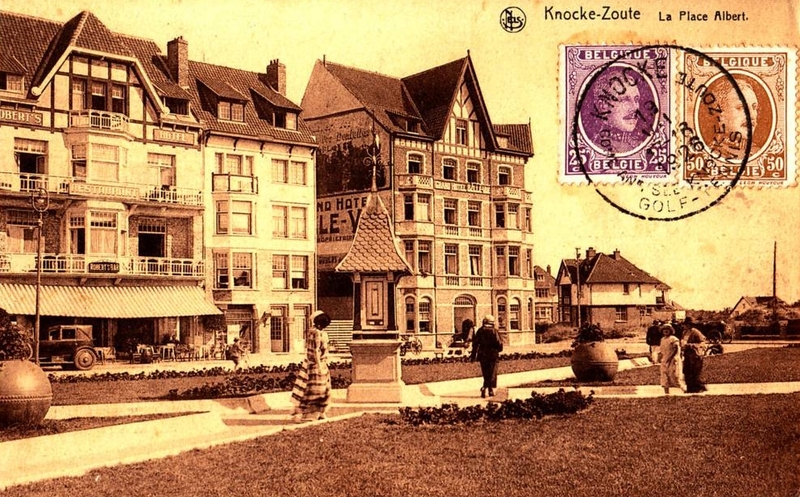 Robert Vermeire était un barman belge né à Knokke en 1891 et décédé en 1976. Son fils cadet, Jean Vermeire, serait décédé sans descendance tandis que son ainé, Roger, s’est marié à Mathilde Mareel en 1950 sans que je puisse déterminer s’ils ont eu des enfants. Le frère de Robert, Carlos Vermeire, a travaillé dans l’hôtellerie à Knokke et était conseiller communal. Il a eu au moins un fils. Si vous avez des informations sur ses descendants ou ses parents, faites-vous connaitre en utilisant le formulaire ci-dessous. Merci infiniment.